A pair of hoop earrings should be a style statement in every jewellery box. This classic pair of 9ct white gold hoops adds a touch of glamour for every occasion. 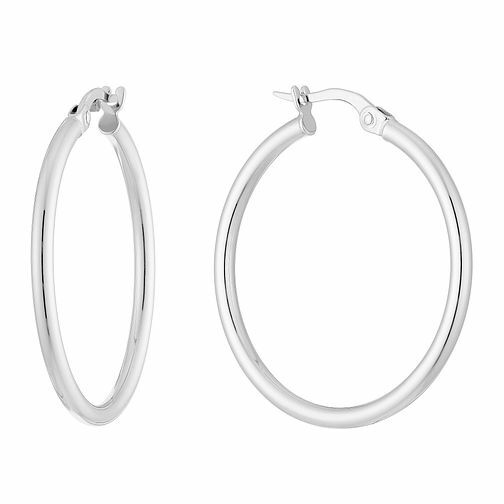 9ct White Gold Creole Hoop Earrings is rated 4.9 out of 5 by 7. Rated 5 out of 5 by Anonymous from Happy with the hoops Purchased these for my daughter - other ratings she had purchased (not gold) caused her problems. These are perfect.